Surgical Procedures - Gregory G. Caronis, M.D. 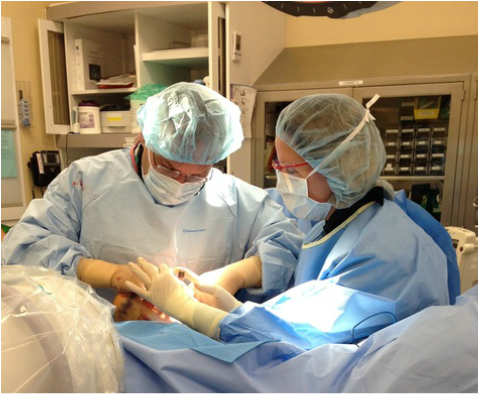 In addition to completing a rigorous orthopaedic surgery residency, I received subspecialty training in the area of reconstructive surgery for complex foot and ankle problems. These challenges can include arthritis, deformities, chronic pain, diabetic foot deformities, flat feet, bunions, and neuromas. As a foot and ankle doctor, I care for many sports- related foot and ankle problems including heel pain, ankle instability, sprains, and tendon injuries, using state-of-the art, minimally invasive techniques, including ankle arthroscopy. Total ankle replacement has offered hope and a remedy for some patients suffering from painful arthritis of the ankle joint. I have completed training in using InBone and STAR total ankle replacements. ​I also perform arthroscopic procedures of the knee on a frequent basis.